This Belsnickel stands approx. 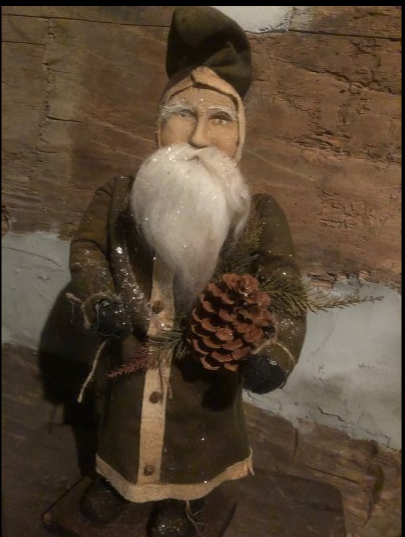 21" high and he is wearing a green coat and holding a pinecone. Arnett's Santa Wearing Blue Coat Holding Pinecone and Faux Greens 19"
Arnett's Red and White Striped Adult Stockings 32"